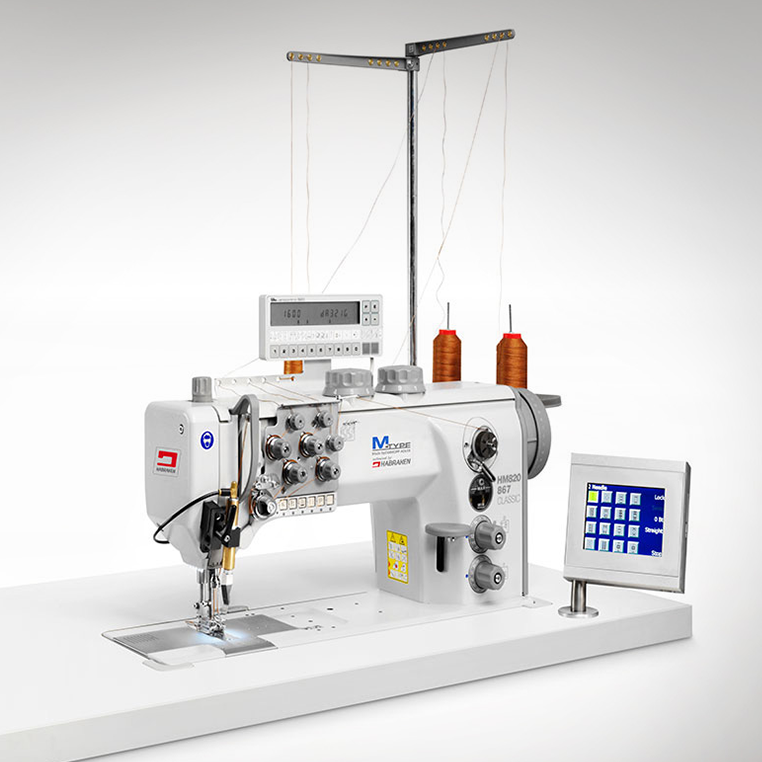 Industrial sewing takes a big step forward with the HM820 series machines and the revolutionary independently rotating needle head. The HM820 combines all the advantages of the DURKOPP ADLER M-TYPE and can be supplied as flat-bed, post-bed, cylinder arm or long arm triple feed machine with the state-of-the-art technology by Habraken. 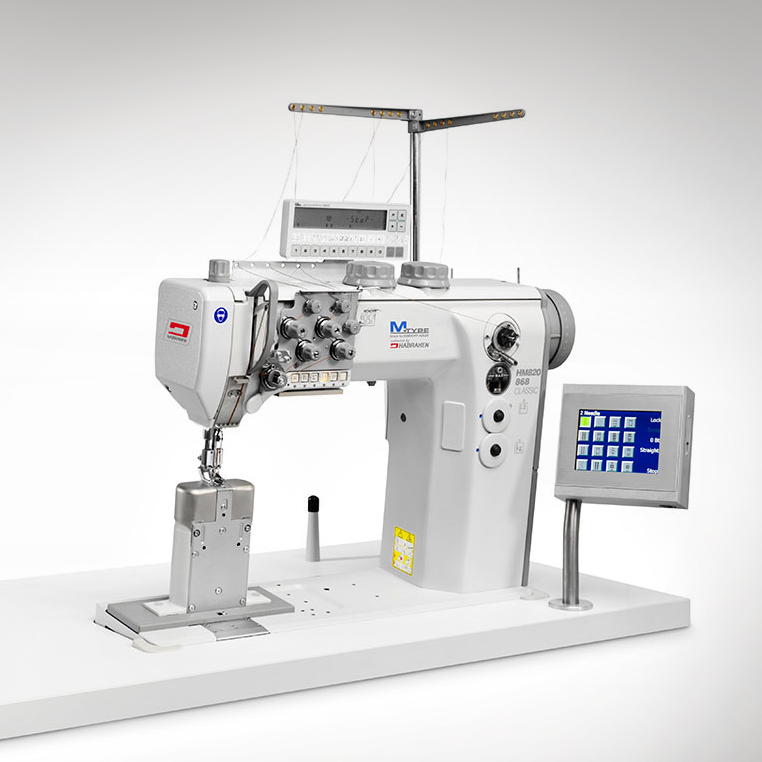 The HM820 is a machine for sewing decorative / ornamental seamsin the automotive and upholstered furniture industries, but can also be used for leather goods and / or other materials where triple feed machines are required. 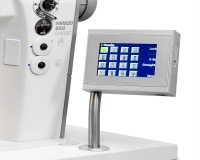 The HM820 is based on the DURKOPP ADLER M-TYPE 2-needle machines. 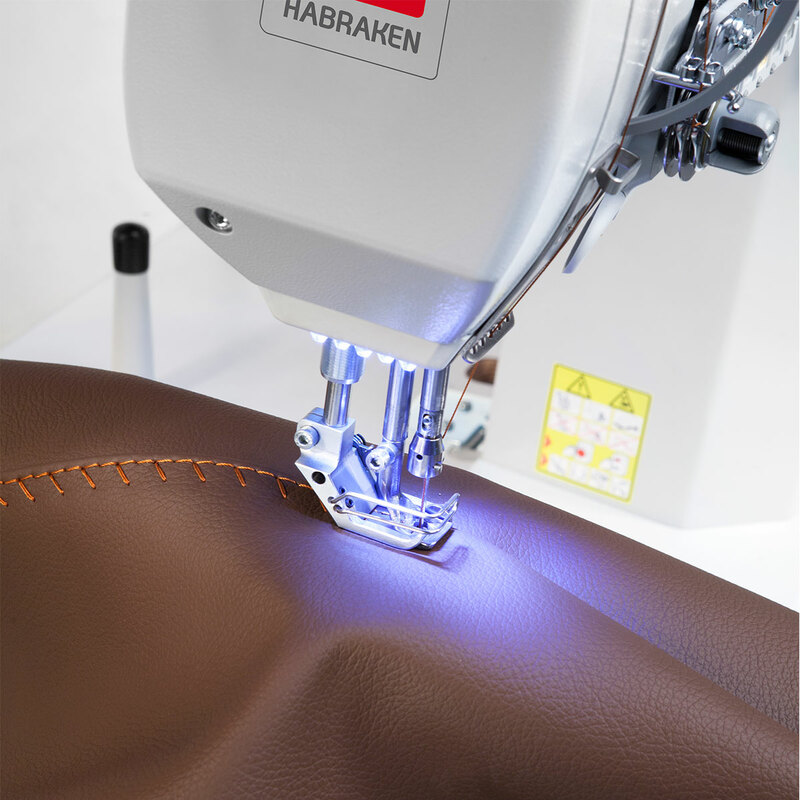 Utilizing the latest user-friendly HMI interface technology, the HM820 is capable of creating a wide range of decorative stitching. 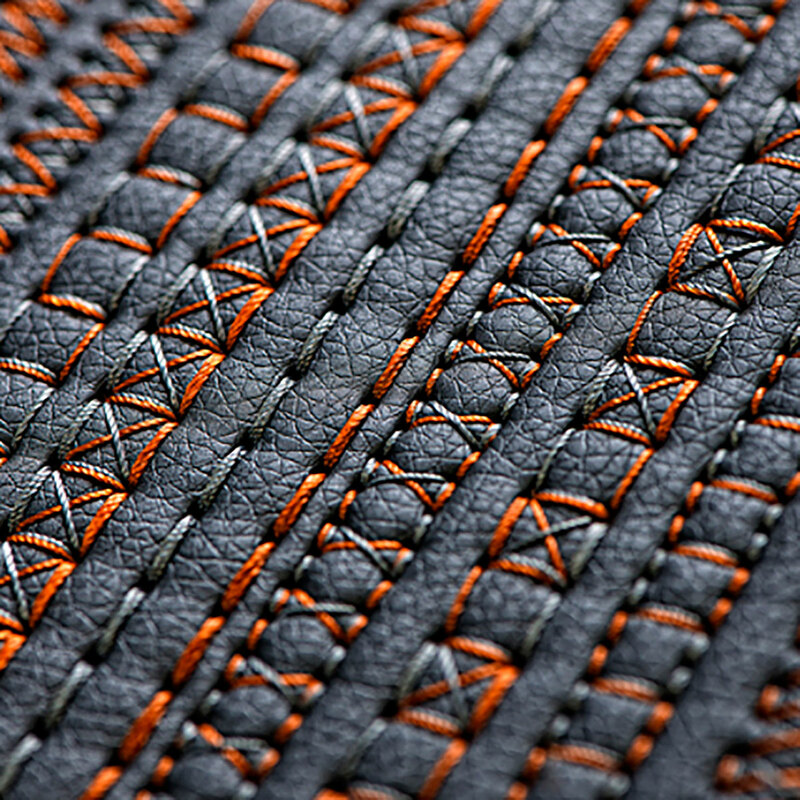 You can simply select the required decorative stitch design by touching the corresponding button on the intuitive touch screen panel. 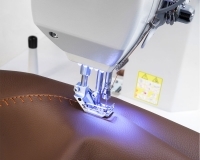 Or you can compose your own stitch from scratch by combining features such as needle swap, forward and reverse transport, 0-stitch and optional second-stitch length. 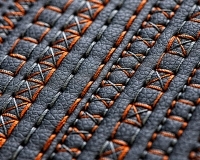 The robust design maintains all the aspects of the proven DURKOPP ADLER M-TYPE feed mechanism, which is known for delivering excellent performance and a perfect uniformed stitch length. 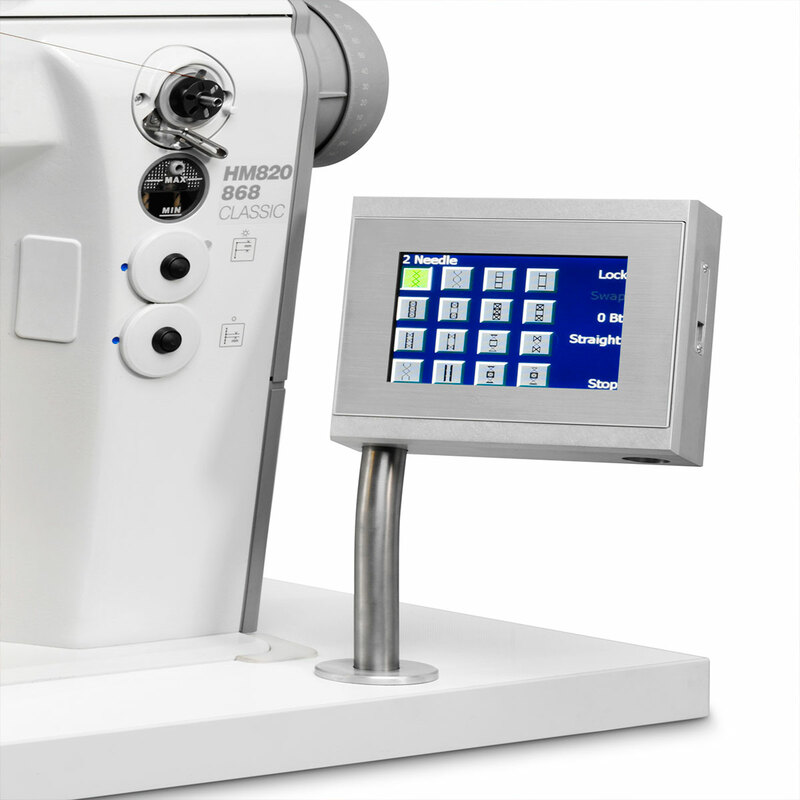 Dedicated high-speed electronics ensures safe and reliable operation. 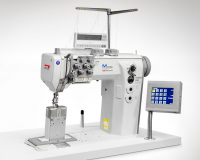 Both the control of the needle bar and the machines feeding fully adapt to the speed and type of decorative stitching which has been chosen by the operator. 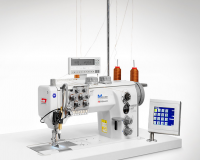 This sewing speed is variable from maximum 1000 stitches per minute in decorative mode and up to 1600 per minute for normal sewing operations.